And so after a 43-week grind, the PGA Tour’s offseason is upon us. Well, except for two dozen guys who are more than happy to delay some down time in exchange for a week in New York. And that includes the guy who figures to spend part of his offseason reconsidering the options in his financial portfolio. For Thomas, the Presidents Cup will be the Kentucky native’s first appearance as a professional in one of golf’s showcase team events. Nor has the excitement worn off for his good buddy who has experience from four of these. That may not be good news for the International team – though Nick Price’s troops came oh-so-close to pulling off the upset two years ago in South Korea. 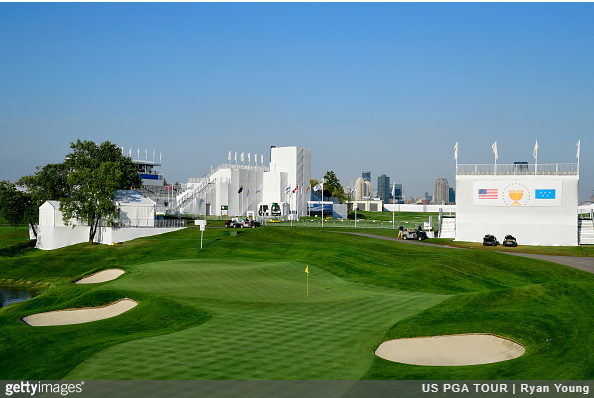 With Liberty National as the week’s backdrop, here are the week’s top 10 storylines. The last time Team USA didn’t have full possession of this Cup, Spieth and Thomas were in middle school. That was the unique shared ownership between the two teams, when darkness beat both Tiger Woods and Ernie Els in 2003’s winner-take-all playoff in South Africa. The Americans pried International fingers off the trophy two years later in Virginia, and have spent the past dozen years in charge of proper care and upkeep. And they’ve done it rather handily, winning the biennial challenge by margins of three to five points. Until last time. As the final matches played out, it looked for a moment that the Internationals would win. But Chris Kirk stole a point from Anirban Lahiri with a lengthy birdie, and Bill Haas closed out Sangmoon Bae in the anchor match. It’s been a source of frustration for such International mainstays as Adam Scott and Ernie Els. At least Scott still has a chance to do something about it. On the flip side, The Streak is getting to that stage where no current U.S. squad wants to go down as *that team* who messed up a good thing. 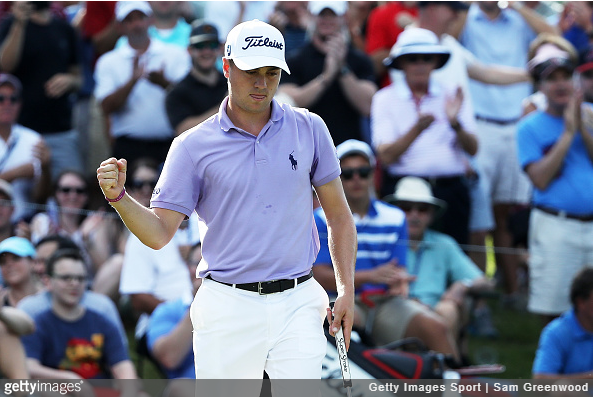 Thomas is the deserving FedExCup champion and a shoo-in for the sport’s Player of the Year. Dustin Johnson has held the No.1 world ranking since spring. Then there’s Spieth, who sits second on both tables. Not a bad selection of riches for U.S. captain Steve Stricker. That lead U.S. trio combined for 12 wins in the 2016-17 season – Thomas with five, Johnson four and Spieth three. That translates to one-fourth of all trophies given during the season, including two majors and two World Golf Championships stops. By comparison, the entire International team had eight PGA Tour wins this past season, with Hideki Matsuyama taking three and Marc Leishman two. 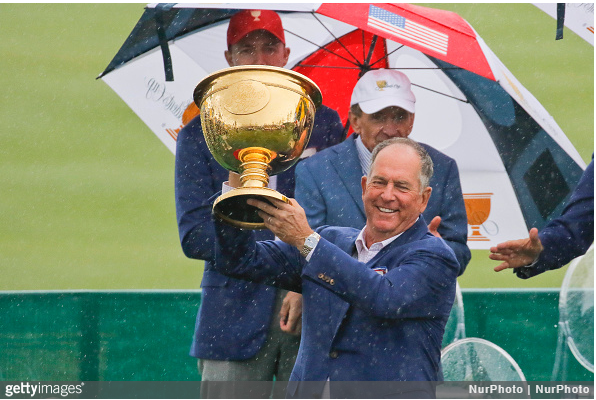 Though Thomas is the most prominent newcomer to the Presidents Cup, he’s far from the only one. Fully half of the U.S. roster is made up of Presidents Cup rookies – with Thomas joined by Brooks Koepka, Daniel Berger, Kevin Kisner, Kevin Chappell and Charley Hoffman. 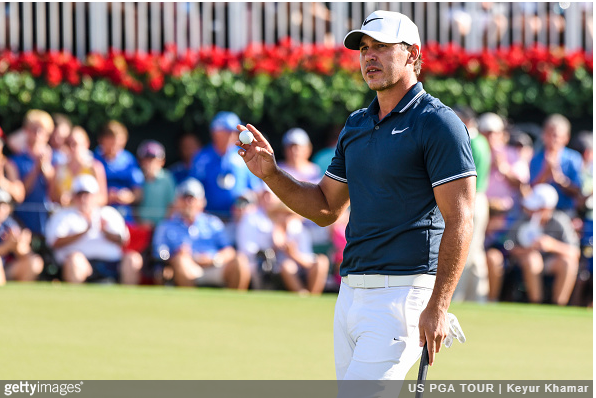 Give Koepka an asterisk, having posted a 3-1 record in last year’s Ryder Cup triumph. It’s the most tangible sign yet of the new wave in American golf, as such former mainstays as Stricker, Woods and Jim Furyk now pull on earpieces instead of golf gloves. “These young players have really represented the game well and will continue to do so,” said Phil Mickelson. Meantime, four International players also are making their debuts. 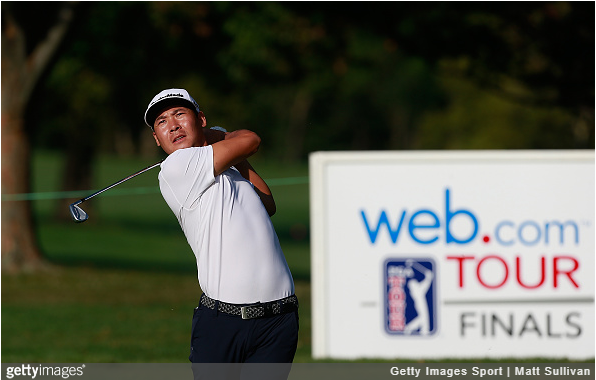 Si Woo Kim, winner of The Players Championship, heads that group along with Jhonattan Vegas, Adam Hadwin and Emiliano Grillo. 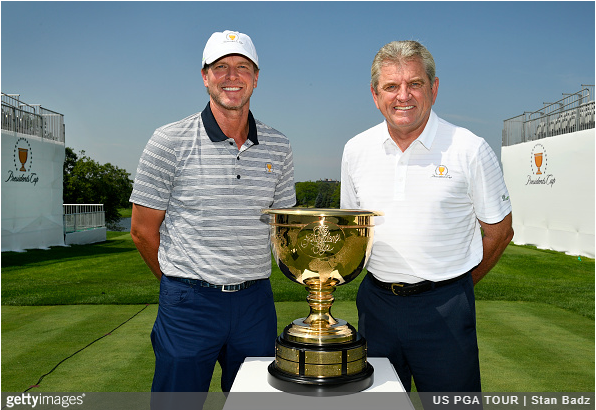 As the Presidents Cup continues to write its young history, Nick Price will go down as one of the its most influential figures. It was Price’s lament on behalf of players neither American or European that prompted PGA Tour officials to create a new team event. And he was the one who suggested the format change to trim the foursomes and four-ball sessions, setting the framework for Sunday drama two years ago. Now if the Internationals can just give their captain a thank-you victory. This marks Price’s third stint at the helm, matching Gary Player and Peter Thomson for most captain’s appearances. 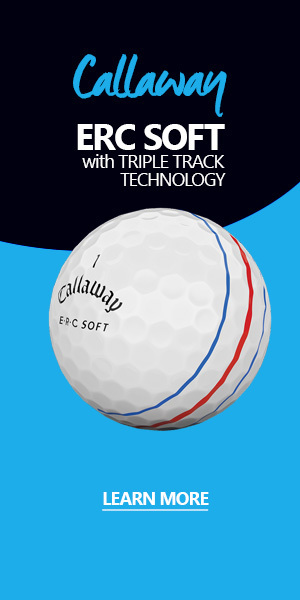 He was part of the Internationals’ only victory in the series, going 2-1-2 during the 1998 matches at Royal Melbourne. One gets the impression a win this week would taste even sweeter. 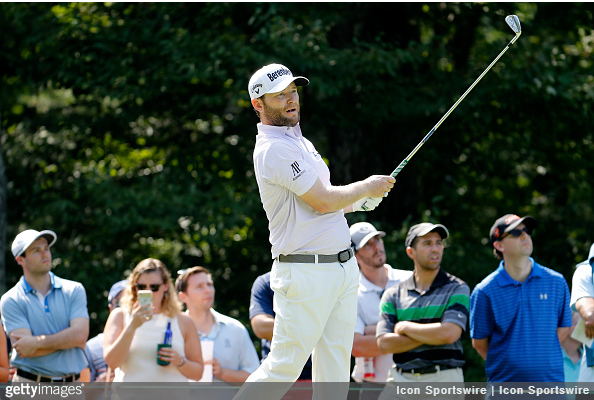 One pairing Price shouldn’t have to think too hard about is bringing Louis Oosthuizen and Branden Grace back for an encore. The South African duo was unbeatable in South Korea, sweeping both four-ball sessions and again in foursomes. Grace also won his singles match over Matt Kuchar, becoming just the second International player ever to post a 5-0 record. Nor did it matter who the U.S. sent up against the duo in team play. Among those vanquished by Grace/Oosthuizen were Spieth, Johnson, Rickie Fowler, Bubba Watson and Patrick Reed (twice). 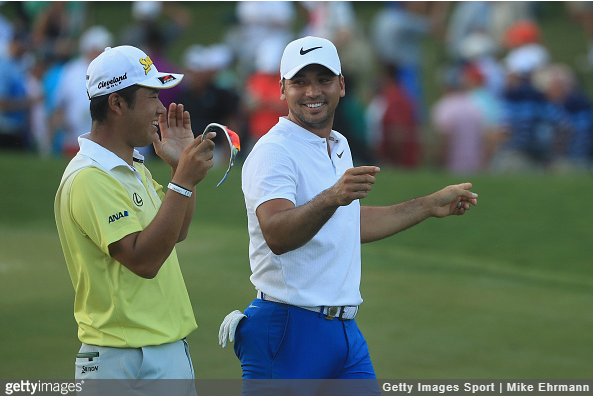 When the Zurich Classic became the first PGA Tour event in decades to be contested as two-man teams, Oosthuizen wasted no time dialing up his Presidents Cup partner. Mickelson had to go the distance to remain the only man to play in every Presidents Cup, named essentially to fill the final slot on the roster. Age and lingering health issues make it certain he’ll sit at least one session, but his presence might be more valuable elsewhere. Even as his winless drought extends past four years and his world ranking down to No.30, there were few pundits who didn’t pencil him into that 12th slot for what he brings as an elder statesman. Mickelson has fully embraced that role, bringing newcomers under his wing for a week to help them get a better grasp on the unique pressures of the Presidents Cup and Ryder Cup. And the guy still has the goods to produce in the spotlight. 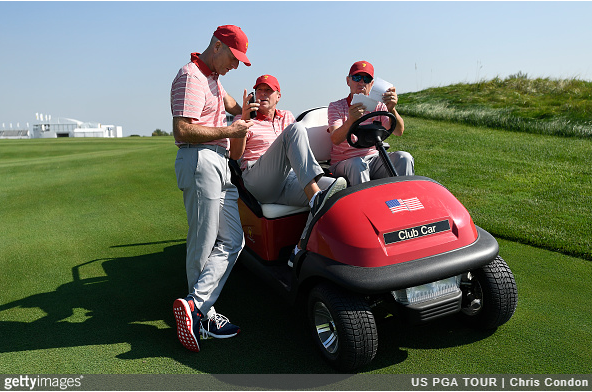 As the guy who essentially forced an overhaul of the U.S. Ryder Cup system, he went 2-1-1 last year at Hazeltine, including an epic singles showdown with Sergio Garcia that ended in a crucial halve. Two years ago, Jason Day arrived in South Korea off his first major title and a one-week stint at No.1 in the world rankings. He left with disappointment, his 0-4-1 record a glaring deficiency in a one-point International team loss. Now the Aussie comes to Liberty National off a star-crossed year in which he’s dealt with injury, illness and his mother’s cancer battle in the spring. Three weeks ago, he took coach/caddie Colin Swatton off the bag, as much to preserve their personal relationship as anything on the course. Now down to No.7 in the world, he’s one of just two International players in the top 15 of the rankings. The other is Matsuyama, who produced a three-win season but ran out of steam during the playoffs. The Japanese star didn’t finish higher than 23rd at any of the four playoff events. That includes a tie for 26th among the 30 players at East Lake. Built on the site of a former Hudson River landfill, Liberty National offers a compelling history and great visuals with the Manhattan skyline and Statue of Liberty in the distance. As a golf course, though, the reviews have been mixed on the two occasions the course has hosted the FedExCup playoffs opener. 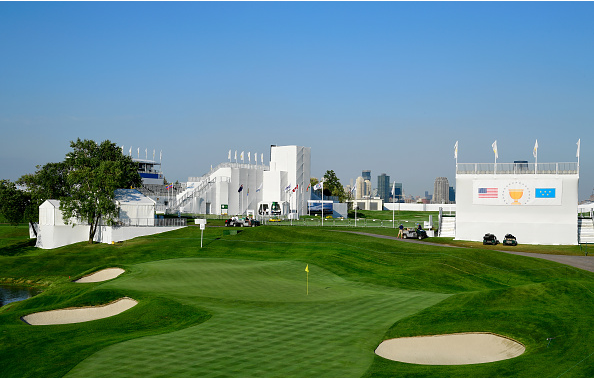 Its 2009 unveiling at The Barclays brought plenty of negative reviews when gusty winds played havoc with Liberty National’s small greens. Players named it their least favorite course on the schedule. 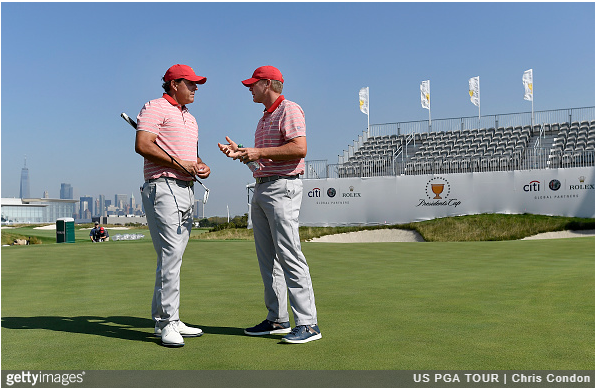 Tweaks ahead of 2013 playoff opener brought more favorable reaction, and there’s been talk that Liberty National might be a better match-play course than it is for stroke play. The routing has been altered, with matches to begin on what’s usually the fifth hole. The move improves clubhouse access near Nos. 13-15, where matches will start to wrap up. 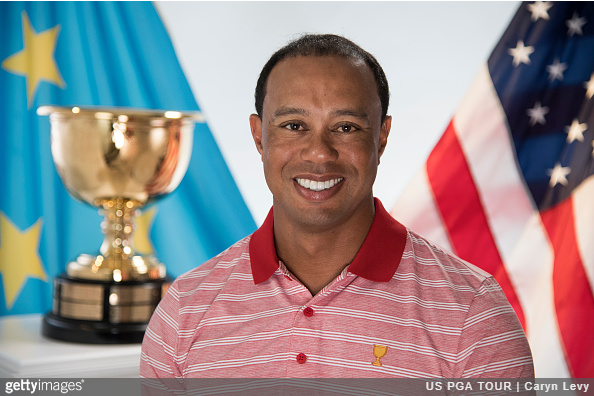 Tiger Woods will return as one of Stricker’s assistant captains, reprising a role he filled for Davis Love III at last year’s Ryder Cup. In this case, it’ll be the first time Woods has made a golf-related appearance since an eventful early summer. The stretch began with Woods undergoing spinal fusion surgery in April, cutting short the latest attempt at a comeback. Then he famously was found asleep behind the steering wheel not far from his home, arrested for DUI when he couldn’t pass field sobriety tests. Woods later acknowledged a dependence on prescription drugs and sought help. According to reporters, he agreed to plead guilty to reckless driving and as part of a first-offender program. In a recent blog post, Woods told readers he is working out, putting and hitting chips of up to 60 yards. He’s also been spotted at the U.S. Open tennis fortnight and with Lionel Messi when FC Barcelona came to South Florida for an exhibition. There won’t be much of an offseason for the 25 men securing PGA Tour status after this weekend’s Web.com Tour Championship near Jacksonville. Then again, it beats the alternative. The final 25 cards for 2017-18 will be handed out after the final putt drops at Atlantic Beach Country Club, with the chance to sign up for next week’s season-opening Safeway Open in California. Chesson Hadley already has locked up a full exemption as the leader of both the full-season money list and that of the four-event Finals. He followed up his win in Boise with a playoff loss in Sunday’s DAP Championship outside Cleveland.